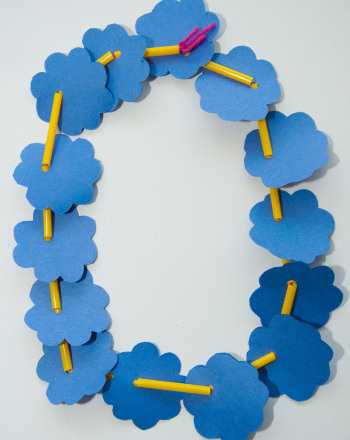 Turn your child’s favorite fruits and vegetables into an edible necklace! With the help of some kitchen tools, carrots, red peppers, and zucchini can be threaded for tasty fun! Invite your child to make a list of all her favorite fruits and vegetables and how they taste. She can brainstorm which might taste good together when combined, or the ones she feels wouldn’t be so tasty. She can make a list of her ideas. Now she can gather together the fruits and vegetables she selected and use the paring knife to carefully slice the fruits and vegetables. Learning how to use kitchen utensils is an important life skill, but does need adult supervision! Now your child can get out the potato peeler and use the tip, used for removing the eyes from potatoes, and use it to create holes in the centre of each piece of the sliced fruit or vegetable. 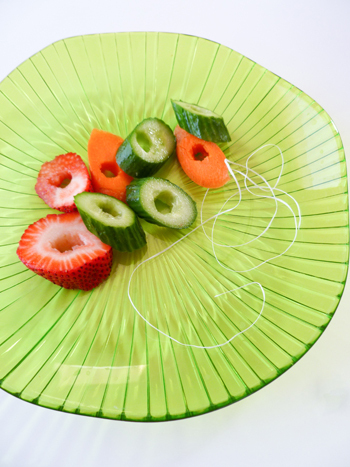 Offer your child a length of dental floss to use for threading through the sliced fruits and vegetables. 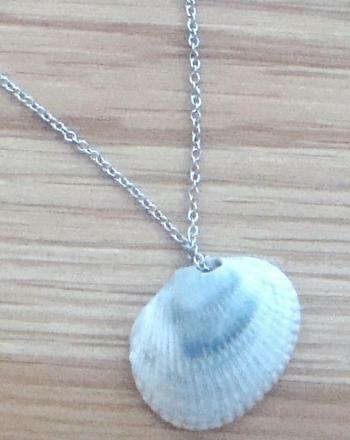 Once she’s finished, she can tie the string around her neck and enjoy her special necklace treat! 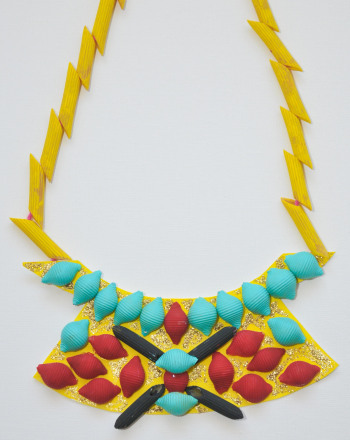 Use painted pasta to create your very own ancient Egyptian necklace. This banana, kiwi, and cherry mandala is bursting with tropical flavors. 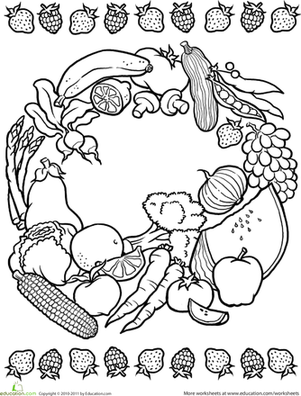 colour in this banana, kiwi, and cherry mandala with your healthy eater.